Right! You’re on the road heading to your favorite place in the world, and you’re carrying precious cargo with you, all of it packed in the motorcycle trailer behind you! You’ve got absolutely nothing to worry about: the sun’s shining down, life is good, and you’re headed to your favorite spot. You decide you are going to take the winding scenic route through the tunnel of trees and around the big lake. Then, at that moment in time when nothing could possibly go wrong something happens, one of the tires on your motorcycle trailer goes flat! Now what? You’ve got a spare, a healthy one at that. So you pull off to a flat spot, get out the emergency kit and get to work. Assuming you’ve put one together and it’s ready for use. Why did you get a flat tire in the first place? 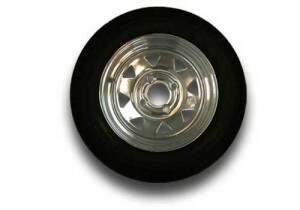 In general, motorcycle trailer tires tend to last for three to five years before they need to undergo a replacement. However, using motorcycle trailer tires in hot conditions where the pressure in the tires fluctuates can lead to faster wearing, which will require you to replace these tires faster. If you find you’ve been using the same tires on your motorcycle trailer for about three years, it’s time to get them checked out to see how long they’ve got before they give up on you. After all, no one wants to be caught with a flat in the midst of nowhere. 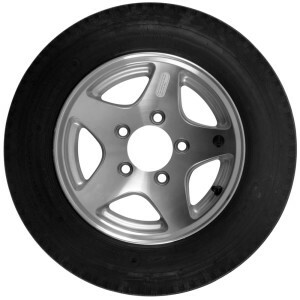 Motorcycle trailer tires come in two major sizes, 8″ and 12″. In my opinion, the 12inch is better, since the larger radius of the tire gives you the leeway to ride over potholes and other obstructions on the road without risking tears on the tire treads. For roads that have a lot of pavement irregularities, and they all do, 12 inch tires are the tires to pick out. There are plenty of different manufacturers offering motorcycle trailer tires, more on this below. 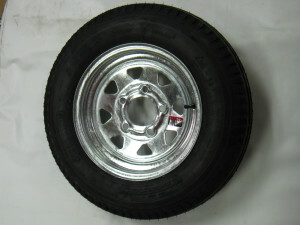 There are many ways by which you can increase the life of your motorcycle trailer tires. First, you must always, always, always check that your tire is not either under-inflated or over-inflated. An over-inflated tire will not be stable on the road, whereas an under-inflated tire will reduce the load carrying capacity of the trailer, and end up causing damage to the tires and shortening their lifespan. The pressure on both trailer tires should be equal. Ensure continuous maintenance of your trailer tires. Don’t let them sit for too long on hard or concrete surfaces, since this may cause them to get flat spots and lead to tread separation once you begin using them again. Constant use of tires ensures that they are self-lubricated (since trailer tires generally release lubricants upon use), which will also lengthen the life of the tire. When storing your tires, release some of the air pressure and keep them in an environment which is cool and dry. 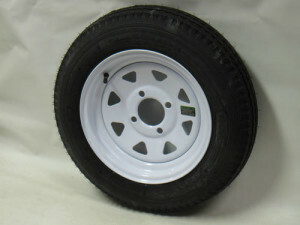 Motorcycle trailer tires should also be covered with tire covers for storage. 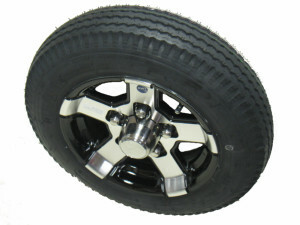 If one tire does fail on a two wheel trailer, change both, with a quality tire. Keep the good one as spare. Ok, enough of the basics. Get that emergency roadside kit together, put your mind at ease and go enjoy more of open road. I should have a new pull behind motorcycle trailer project completed soon to show you that I am really excited about and I will be sure and put a link to it here when it’s done. Here are some of the trailer tire options that I was looking at in detail during the project planning. Check your tires before setting out on that long overdue trip and stay between the lines.